Gundam Age is not very well-received by the Gundam fanbase. Nobody even cares to remember it. I dropped it early on and never put it on my list. That said, this Gundam entry is not without its good points. The animation is consistently good and it definitely tried to be different. Unfortunately, the execution is not good enough. This OVA, on the other hand, solves a lot of the original's problems. As a retelling of the Asemu arc, widely considered the best part of Age, it is actually pretty well-written. Two main characters' friendship and rivalry is engaging to watch. The characters are more Shounen-esque than the typical Gundam, but it's not a bad thing. Top-notch animation quality and great directing provide some of the best mecha action I've ever seen. The story, unlike most Gundam, never drags on. Unfortunately, most of the necessary background information was explained in the original anime, so you need to either watch that or read the wiki. With a runtime of only two and a half hours, this OVA is extremely focused. It tell the story extremely well, but much information is left out. Thankfully, if you have watch enough Gundam and mecha, you can understand most of it with minimal explaination. Overally, I enjoyed this OVA a lot. 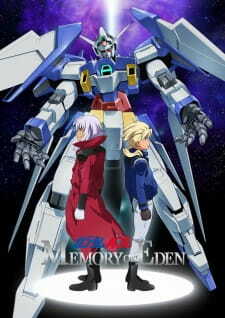 Watching this anime, I believe that a three-movie remake can turn Gundam Age into one of the best mecha anime of all time. Shame Gundam Age flopped hard, so we are left with an incomplete retelling. If you are a fan of Gundam Age (all 5 of them! ), or have somehow watched all of Age despite hating it, this a must watch. For others, it a good way to waste 2 hours.